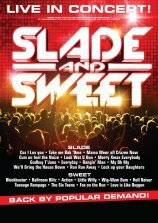 The original members may now be getting on a bit but an evening with Slade and Sweet is the perfect way to stoke up the Christmas party atmosphere. With both bands having their first UK hits in 1971 they each have more than 40 years of experience and back catalogue to draw on. Merry Christmas Everybody! 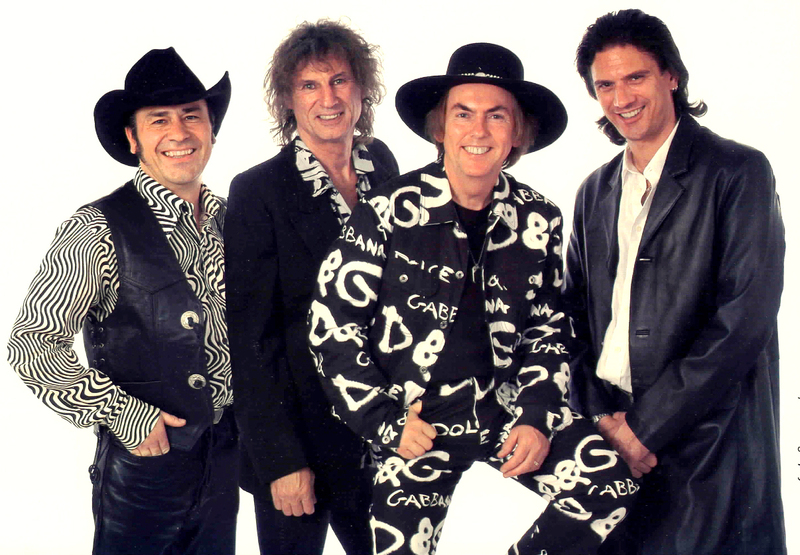 : Slade - Mal McNulty, Don Powell, Dave Hill, John Berry. Slade took to the stage to the theme of Thunderbirds and exited to Mission: Impossible, although in their case it was Mission: Accomplished. 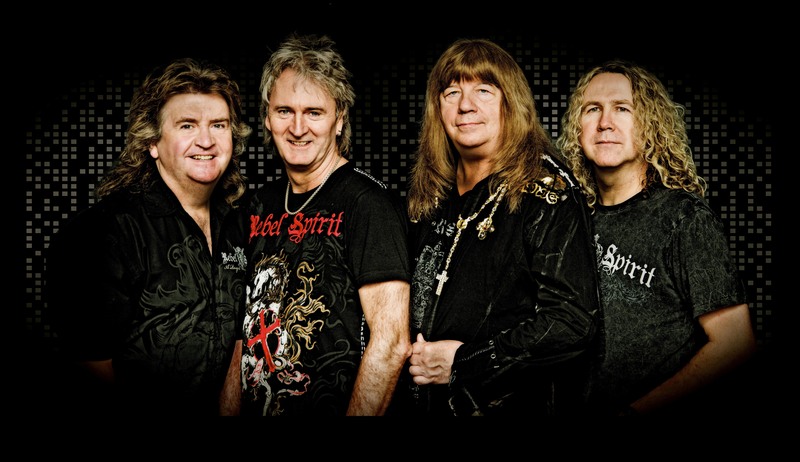 Boasting original members drummer Don Powell and guitarist Dave Hill, both aged 67, the band powered through most of their big hits including their first number one, Coz I Luv You, and a rabble-rousing Mama Weer All Crazee Now. Bowler-hatted and shades-wearing Mal McNulty took the Noddy Holder frontman role and while he has Nod's distinctive gravel vocals he cannot compete in the charisma stakes. Bass and fiddle player John Berry took over lead vocals for Everyday and Look Wot You Dun but as the 65 minute set progressed Dave Hill moved more into the spotlight. Considering he suffered a stroke in 2010 the guy is amazing, running round the stage, standing on monitors, encouraging the audience to stand up and join in, and turning in some great guitar solos. Despite teasing that they wouldn't play Merry Xmas Everybody it gained a rousing reception when it closed the show. Fellow seventies Glam legends Sweet had earlier got everybody in the feelgood mood with an hour of hits. The make-up has long gone and the songs have been hardened and rocked-up thanks to the guitar of the one original member, 64-year-old Andy Scott. He was ably supported by guitarist and keyboardist Tony O'Hora who hails from Droitwich, bassist and lead singer Pete Lincoln and powerhouse drummer Bruce Bisland. Fan favourites like Hellraiser, Blockbuster and Teenage Rampage were present and correct, although the bubblegum pop of Wig-Wam Bam and Little Willy were dispensed with early on. That left time for an extended version of Love Is Like Oxygen, including Emerson, Lake and Palmer's Fanfare For The Common Man, dedicated to the much missed Brian Connolly and Mick Tucker. The triple whammy of Fox On The Run, Action and Ballroom Blitz closed the set and issued the challenge to Slade - 'Follow that'! Dec 21: Salisbury, City Hall.